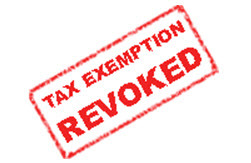 Once an organization’s tax-exempt status is lost, it must reapply for exemption. Restoration of tax-exempt status is not guaranteed, so we urge anyone with an interest in seeing the nonprofit sector succeed to help us get the word out. Time is running out for smaller nonprofits in danger of losing tax-exempt status because they have failed to file annual returns with the Internal Revenue Service (IRS) for fiscal years 2007, 2008, and 2009. October 15, 2010, is the final date on which Form 990-N and Form 990-EZ filers can file their overdue returns through the IRS’s one-time filing relief program. Organizations that do not file their delinquent returns by this date will lose their tax-exempt status under the provisions of the Pension Protection Act of 2006. GuideStar USA, Inc., the leading source of nonprofit information, is asking the philanthropic community at large to help spread the word about the impending closing date. To help nonprofits meet the IRS requirements, GuideStar published a free report, Automatic Revocation of Nonprofits' Tax-Exempt Status: What Nonprofits, Grantmakers, and Donors Need to Know. Authored by Linda M. Lampkin of ERI Economic Research Institute, the report outlines the steps smaller nonprofits must take to avoid revocation of tax-exempt status. The IRS has also created an outreach toolkit of educational and turn-key promotional materials for use by stakeholders, which can be found on their website. Loss of exempt status means an organization must file income tax returns and pay federal income tax. If the nonprofit is a charitable organization, its contributors will no longer be able to deduct their donations. If an organization wishes to regain tax-exempt status, it will have to reapply with the IRS, a time-consuming process that requires payment of fees. Additionally, any income received between the revocation date and restoration of exemption may be taxable. GuideStar estimates that as many as 400,000 nonprofits could lose their exempt status after October 15. GuideStar, http://www.guidestar.org, connects people and organizations with information on the programs and finances of more than 1.8 million IRS-recognized nonprofits. GuideStar serves a wide audience inside and outside the nonprofit sector, including individual donors, nonprofit leaders, grantmakers, government officials, academic researchers, and the media.